One website estimates that more than 750 million pumpkins are carved into jack o' lanterns each October. While the practice brings joy to many, it created heartburn for Iowa tax officials six years ago, who were dismayed that so many people were decorating their pumpkins. The Department recently refined its position on whether pumpkins are subject to Iowa sales tax to more closely match what we believe to be their predominant use. In the past, pumpkins were exempt from sales tax as a food (edible squash), even if they were to be later made into jack-o'-lanterns or used as decorations. * They are purchased with Food Stamps. Retailers who sell pumpkins should keep these guidelines in mind and make any necessary changes to their tax treatment of pumpkin sales. 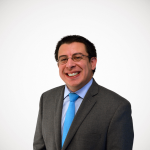 We shed some light on the silly Iowa rule, noting: "It's a weird tax system that taxes the same item differently depending on the buyer's intent. I'm sure Iowa pumpkin patches have better things to do than quiz their customers on future pumpkin uses." 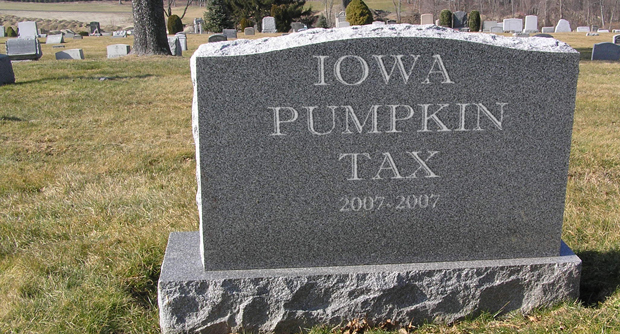 The blogosphere picked up on our post, which led to local news coverage, and finally Iowa officials rescinded the pumpkin tax a few days later. One less silly tax thanks to our blog readers!